The LLLT method offered by the leading salon in Houston restores hair and helps combat hair loss with guaranteed results. Spring, TX, January 04, 2019 --(PR.com)-- Men and women alike suffer from hair loss. Even though it’s stigmatized, hair loss is a relatively common phenomenon in the United States. While some may suffer from hair loss due to chemotherapy, others inherit it due to a genetic condition called Androgenetic Alopecia. Those suffering from chronic and acute hair loss can head over to Hair Extensions of Houston to benefit from their hair restoration services. Using the Low-Level Light Therapy, the leading hair salon of Houston caters to clients looking for long-lasting solution. The non-invasive and safe procedure implements the use of a cool laser to activate the re-growth of hair. By allowing the scalp and follicles to be stimulated, the oxygenated tissues promote the re-growth of hair. Hair Extensions of Houston (HEH) has long since been one of Houston’s leading salons. 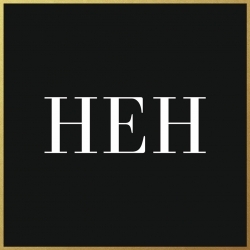 Offering premium services in all things hair care, HEH offers a comprehensive range of services that include keratin treatments, hair restorations services as well as hair extensions installation. The treatment is effective not only for combating hair loss, but also for future prevention of hair loss post-therapy. Since the cool lasers are performed in a controlled environment, they’re safe for use and don’t pose risks. Those looking to treat hair loss or alopecia can get in touch with Hair Extensions of Houston for an appointment. Hair Extensions of Houston is a Houston-based hair salon. Their comprehensive services include full hair care, cut, color, styling as well as hair-restoration therapy using the Low Level Laser Therapy.